This is a very persistent, falsely captioned photo so it is worth debunking also here. The false caption used by the pic spammers: The Beatles crossing Abbey Road 1969. Sometimes the caption also include text “from another angle”. This photo is a print advert created by an advertising agency Spuk in 2010. 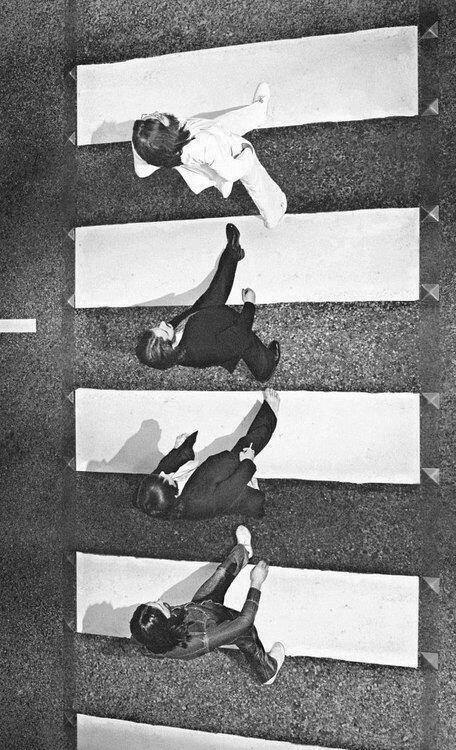 Source: Spuk Print Advert by BBDO: Beatles via Ads of The World. The image has been rotated. Debunked by @Picpedant on Twitter. See also: HoaxOfFame. Cool. I never saw this angle before.